Dr. Sehgal attended Lady Hardinge Medical College in Delhi India as an undergraduate, earning a MBBS degree (bachelor of medicine/bachelor of surgery) and then following two additional years at Lady Hardinge she earned a diploma in obstetrics and gynecology. The Lady Hardinge Medical College has the unique distinction of being the only Medical College in India for the exclusive training of women undergraduate students. After earning her diploma in obstetrics and gynecology, Dr. Sehgal took a position as senior house officer, Obstetrics & Gynecology for the National Health Service Trust, United Kingdom. Moving to the U.S. in 2008, Dr. Sehgal accepted a residency in obstetrics and gynecology at St. Peters University Hospitals/Drexel University College of Medicine in New Brunswick, NJ. Following her residency, she joined Good Shepherd Medical Center in Marshall, TX. 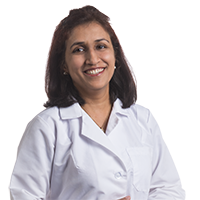 Dr. Sehgal is Board Certified in OB/GYN (American Board OB/GYN)and is a member of the American Medical Association, and the American Council of Obstetrics and Gynecology. She has a special interest in high risk obstetrical patients and infertility. When not caring for patients Dr. Sehgal enjoys time with her family. She loves playing and spending time with her little daughter and son.